When a renowned theater director senses something amiss during his latest production, he calls in Nero Wolfe. Though the corpulent genius wouldn't normally accept a job this vague, a mutual friend dangles the prospect of a very rare orchid in exchange for his services, and Wolfe can't resist. With a mind to suss out backstage gossip, Wolfe turns to his faithful assistant, Archie Goodwin, to impersonate a journalist in order to speak to the cast. 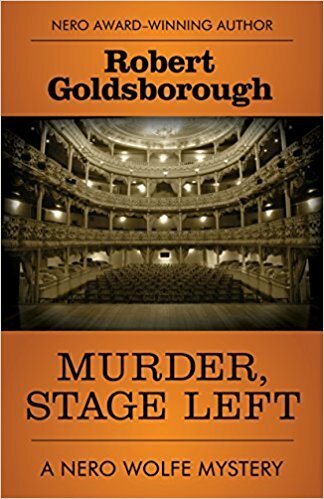 Though Goodwin's conversations prove unfruitful, on his last day at the theater, the director is murdered in his soundproof booth, poisoned by an unseen culprit during an evening performance. In short order, an actor whose health is failing, attempts suicide with the same poison. Now Goodwin is a prime suspect in the director's demise, effectively sidelining him for the rest of the case, and freelance gumshoe Saul Panzer must step in to help wrangle the various members of the play - from the ingenue and the diva to the handsome movie star and the surly stage manager - so New York's smartest, and most reclusive, private detective can determine who is responsible for these dramatic deaths and clear Goodwin's name once and for all. When Nero Wolfe is asked to see a New York theater director at the behest of a fellow orchid lover, Lewis Hewitt, Wolfe's first response is No. But then through Archie, his right-hand man, he is told to tell Wolfe these two words: Grammangis spectabilis. With those two words, Wolfe has a new case on his hands, and Archie has a new assignment. To wit: Roy Breckenridge, the theater director in question, feels his life is being threatened, and all because of contention among his cast. He asks Wolfe to investigate and find out which one of the cast members is causing the strife among them all; and to this end, it is decided that Archie will pose as a Canadian magazine writer who is interested in the play and its cast, for his publication. But unfortunately for everyone involved, his charade does not go according to plan. While posing undercover, someone murders Breckenridge while Archie is at the theater, not only ending his assignment, but effectively removing him from the case. Therefore, Wolfe has only one option left: Saul Panzer, whom he is sure can get to the crux of the matter and, by bringing the principals before Wolfe to interrogate, discover who the guilty party is. With the cooperation of Mr. Hewitt, and a little help from newsman Lon Cohen, Wolfe sets to work not only to discover Mr. Breckenridge's murderer, but to do so in order to obtain what his heart desires: rare Madagascar orchids that are now in Mr. Hewitt's possession but Wolfe wishes to be his. What follows is another masterful mystery involving the brilliant mind of Nero Wolfe, and the sharp wit of Archie Goodwin. I cannot put into words how much I enjoy these mysteries, first started by the late Rex Stout and carried on beautifully by Robert Goldsborough; whose own voice speaks to us just the same. 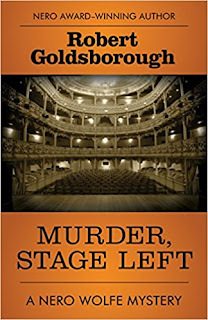 He has given us another thought-provoking mystery - this time involving the New York theater and the personal egos of its members - and done so in such a lively way that it is indeed easy to get involved in the story quickly and stay there through the end. In fact, one becomes so involved that in trying to decipher Mr. Wolfe's nuances you are never quite able to do so; and when he solves the crime (as we know he will) you are as surprised as anyone else. This, my friends, is what a true mystery is about, and how it indeed should always be. Nero Wolfe is one of a kind, a man with a brilliant mind who knows it to be true; who is haughty and unconcerned about the wants of others, but who values Archie and his staff, even if he does not show it. He appreciates beauty and true friendship, all the while keeping himself aloof and unemotional He is able to solve whatever crime is put before him effortlessly, and it is a pleasure to watch him do so. This is a sparkling mystery full of intrigue and secrets, and I eagerly await the next in the series. Highly recommended. Ellison Russell wanted a decorator, not a corpse. Too bad she finds Mrs. White in the Study killed with a revolver. Things go from bad to worse when she finds Mr. White in the dining room killed with a candlestick. With so many bodies, is it any wonder Detective Anarchy Jones' new partner considers Ellison a suspect? 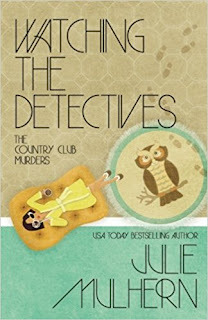 With the country club gossips talking a mile a minute, an unexpected cocktail party, a visit from Aunt Sis, and a romantic decision, Ellison hardly has time to think about murder. Unfortunately, the killer has plenty of time to think about her. Ellison Russell lives in a wealthy Kansas City suburb with her daughter Grace. She's been widowed for six months, and has decided to turn her late husband's office into a study, so is looking for a decorator. At the request of her attorney Hunter Tafft she's allowing his ex-wife Khaki White to offer a bid, even though she knows she won't hire her. After all, she is dating Hunter, and feels it would be awkward to have his ex- (remarried) wife in her home. When Khaki shows up, she begins making asides regarding Hunter that put Ellison on edge. So when Ellison receives a telephone call from her housekeeper Aggie, it's a welcome respite. It turns out Aggie's car Bess has finally died, and she needs Ellison to pick her up. Ellison leaves Khaki to measure the room and tells her she'll be back shortly, and to just lock up behind her when she leaves. That should be the end of her seeing Khaki...but instead it's just the end of Khaki. When Ellison and Aggie return home, she finds her front door ajar, and Khaki in the study, shot between the eyes. In shock, she calls Detective Anarchy Jones for help. When Anarchy arrives, it's with his new partner Detective Peters, and he thinks everyone - including Ellison - is a suspect. She has no idea who killed Khaki but she knows it wasn't herself or Hunter, (even if her neighbor did see a white Mercedes like Hunter's in her driveway). As it is, she and Grace need to evacuate their home while the police check the crime scene, and if this isn't bad enough, her mother Frances - who is having a disaster in her own home - has volunteered Ellison's home as a replacement for a benefactors' party - in two days' time. With her hands full of disasters and trying to keep everything together, she allows her mother her way and it appears the party is going just fine. If things were bad before, they're about to get worse. Ellison, making her way around her home greeting her guests, notices the lights are off in the dining room and turns them on only to see another dead body - this time it's Khaki's husband, and someone has done him in with one of her grandmother's candelabra. 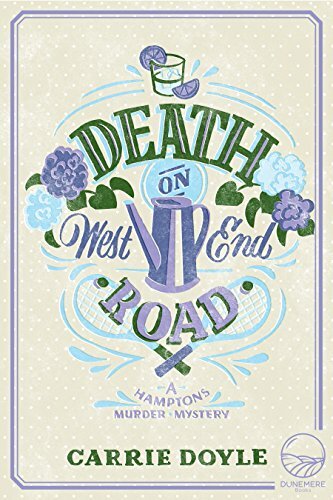 Julie Mulhern has done it again and given us a captivating mystery to sink our teeth into and happily devour. Her characters are so full of life, so animated, that we are drawn to them instantly. Even those we would rather not spend any time with, such as Frances (don't judge - Ellison doesn't want to spend time with her, either) have distinct and vibrant personalities. We are transported back in time to the 1970s - Bell bottom pants, colorful (very) clothing, no cell phones or Internet, and ex-baseball player Joe DiMaggio was hawking Mr. Coffee on televisions all across America. It is a world Ms. Mulhern feels comfortable in, and by extension, makes us comfortable in it, too. What she has given us is a mystery not only with two murders; there is also something darker going on, and we find ourselves involved in situations that have no easy exit; mistakes that are made that can change the life of anyone forever. When Ellison starts questioning her friends - those that used Khaki as a decorator - she becomes embroiled in a type of conspiracy, and one that has roots closer to her own home than she could ever have imagined. With her life in such turmoil, she makes another decision that could change her life, and time will tell whether it was the right decision or not. I have to wonder if it was based on being new, different, a rebellion of sorts; watching how differences collide will be interesting, to say the least. When the ending comes, and we find out the murderer, it comes as a surprise - not the reasons why, but who the killer turned out to be. It's a twisted sort of person who can justify things in their own mind that aren't justifiable at all. 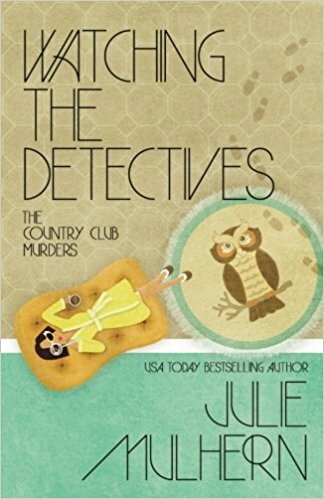 Watching the Detectives was thoroughly entertaining, delightful to the extreme, and alternately funny and piquant; and even sometimes a little sorrowful. Highly recommended, and I eagerly await the next in the series. Settling into her new life and and career in small-town Indigo Gap, North Carolina, Cora Chevalier is preparing to host a “wildcrafting” retreat at her Victorian home. But a specter hangs over the venture when beloved local nanny Gracie Wyke goes missing. 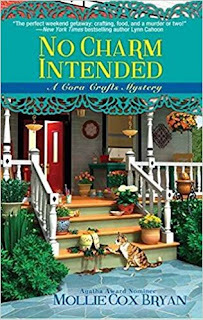 Amidst leading their guests in nature hikes, rock painting and making clay charms, Cora and her business partner, Jane, team up with Gracie’s boyfriend, Paul, to launch their own investigation into her disappearance when the local police prove unhelpful. Cora Chevalier is the owner of Kildare House, an historic home in the small town of Indigo Gap, North Carolina. She moved there after her previous life working in a women's shelter in Pittsburgh sent her into a downward spiral that she's still recovering from. Also with her is her best friend Jane Starr, a potter whom, along with her daughter London live in the carriage house on the property. Cora has turned Kildare House into a place where she holds crafting retreats, and the latest is a "wildcrafting" retreat where the guests are going to learn to use nature to make beautiful items they can be proud of both creating themselves and owning (or gifting). But then there's a hitch: First, Cora receives a message on her phone that reads "I kidnapped her" but discounts it at first as a prank until she finds out others received the same message. Then Jane's babysitter, Gracie Wyke, goes missing; her boyfriend Paul and his friend Henry show up, hoping that she might have said something to Jane which will give him a clue as to her whereabouts by retracing her final steps, but no such luck. Shortly after their visit, Henry goes missing and Cora, feeling sorry for the distraught Paul, offers to let him stay for awhile. Even though Jane is against it, there isn't anything she can say, so she lets it go. But not too long after, it's discovered that Henry has been murdered, and Paul becomes a suspect in the crime. When Cora and Jane begin investigating (against the wishes of the local police) they find that all three college students were playing a computer game called The Wizard of Oz. But this is no kids' game, and somewhere along the line it may have turned deadly. Although I did enjoy this book more than the first one of the series, I didn't enjoy the fact that it was intimated depression is dangerous. At one point Jane practically goes ballistic, noting that if she knew Gracie was depressed, she never would have hired her as a babysitter. Why? (You can recover from depression and never suffer from it again). I also wondered why she would have told her five-year-old daughter that her babysitter had been kidnapped. Who has that conversation with their young child? And then repeats it in front of her, and doesn't even think she's the reason her daughter is having nightmares! Both women seemingly made a big deal of Gracie's depression; yet you have two deeply damaged protagonists - Cora's stress/anxiety and Jane's bad relationships leaving her with the inability to trust men - who aren't seeking therapy of their own to deal with it. Trust me, just moving to a new town and starting over isn't going to fix their problems, or get them on the road to their own mental health recovery. There was some nice interaction between the crafters this time out, and I enjoyed the "crossover" of characters from Ms. Bryan's other Cumberland Creek scrapbooking series, which was a lot of fun. The book was interesting enough to keep me reading throughout the night, and it's a light, easy read with a decent plot regarding the DarkNet (it's explained a little in the book for those who don't know much about it). In the end, I didn't feel that there was any strong motive for the antagonist to commit kidnapping/murder. I would have liked to have had this person be a bigger part of the story so that we could have actually gotten to know a little bit about them (understand their reasoning, etc), but as it were, that seemed to be seriously lacking, in my opinion. However, I'm not ready to give up on the characters yet; perhaps in the third book we'll see the ladies come into their own a little bit more and finally take charge of their lives. Recommended. 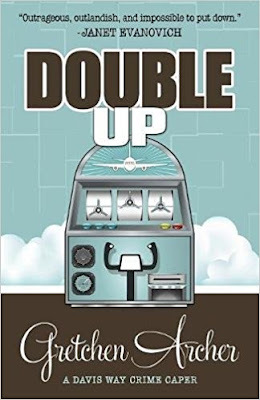 Fasten your seatbelts for non-stop action as stiff competition blows into town and the resulting turbulence threatens to take down the Bellissimo Resort and Casino in Biloxi, Mississippi. Super Secret Spy Davis Way Cole, who lives on the twenty-ninth floor of the hotel with her CEO husband and newborn twins, takes it hard. If the casino goes belly up, she won't be a stay-at-home mom because she won't have a home. Not to mention her husband won't have a job. Davis can't find a way to stop the inevitable end of Bellissimo life she loves until her ex-ex-mother-in-law shows up, unexpected and definitely uninvited. Davis makes the best of a bad Bea Crawford situation and recruits her for a little corporate espionage work, which would've been great, had Bea not turned out to be the world's worst spy. Ever. Seatbacks and tray tables in their upright positions as we prepare for a bumpy ride with babies, bankruptcies, besties, and shrimp. (Shrimp?) Enjoy your flight. Davis Way Cole is the ex-Secret Super Spy for the Bellissimo Casino in Biloxi, Mississippi. 'Ex' because she's retired - now taking care of two eight-month-old baby girls, Bex and Quinn - while her husband Bradley is left to run what's left of the casino. I say this because there's a new sheriff in town: The Blitz, which has been built right across the river from the Bellissimo, and they've not only taken the Bell's staff, but most of their customers as well. They've become practically a ghost town on their own, and the owner, Richard Sanders (and his wife Bianca) have decamped for the lights of Las Vegas and left Bradley to salvage what he can. Davis blames herself, because if she hadn't been so busy being pregnant and then motherhood, she believes she would have known what the Blitz was up to all along and none of this would have happened; she would have been at the top of her game and realized they were building a mega-casino instead of what she originally thought - a football stadium. Why a stadium? Because the person who now runs the Blitz is the grandson of the owner, Elias Johnson, and an ex-football player. As a great fan of the series I was really looking forward to this entry, and for the most part, wasn't disappointed. While it started out slow - it's not that interesting to follow a storyline of someone who spends all their time in an apartment with their babies - but once the plot got going - and so did Davis, it really took off (see what I did there?). There isn't a lot I can say about the plot without giving away the crux of the story, so let it suffice to say that Davis is tired of what is going on around her and decides she's the one who needs to save the company (and her home). She learns from Bea what is going on over at the Blitz; decides she can do something even better at the Bellissimo, and sets forth on a plan to save the resort and her husband's job in the process. What ensues is quite humorous at times, suspenseful at others, there was even one scene between Fantasy and Davis that had me downright chuckling; plus Davis' reaction when she realizes why she's spending time with Bea is worth reading the book alone; not to mention what happens when Bea begins to take herself seriously as a spy. 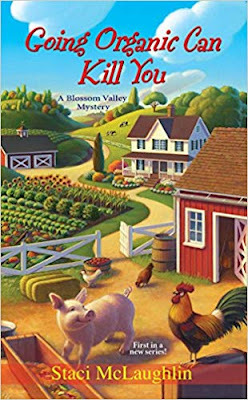 In the end, it was a fun journey with an unexpected ending, and while not technically a murder mystery (although there is a murder, have no fear), it still gives you plenty to devour while you enjoy the book and wait for the next in the series to arrive. Recommended. An unsolved crime is something that Hamptons innkeeper and sleuth Antonia Bingham just can't resist. Despire a busy high-season schedule and an inn booked to capacity, Antonia has agreed to investigate a cold case in her beloved adopted hometown, East Hampton, NY: the killing of Susie Whitaker, whose brutal 1990 slaying on a tennis court in the poshes part of town was never solved. And the person who has hired Antonia? Prime suspect Pauline Framingham, a manipulative pharmaceutical heiress from a powerful family. As Antonia attempts to unravel the mysteries of the past she unearths even darker secrets and ultimately wonders if it would have been best to let sleeping does lie. To make matters worse, past acquaintances and love interests reappear in the Hamptons, disrupting Antonia's world and causing her to scurry to the fridge for comfort. Antonia Bingham owns and operates an inn in the Hamptons, and it's a busy place this time of the year. One day she receives a visit from Pauline Framingham, one of the richest people who lives there, and Pauline makes a strange request: she wants Antonia to solve a murder that occurred 27 years ago. Pauline's best friend Susie Whitaker was bludgeoned to death on Pauline's tennis court, and while many were suspected - including Pauline herself - no one was ever found guilty of the crime. While there are plenty of suspects, there aren't many clues. Susie was alone on the court, and no one saw anything that pointed to any one person. In the end, it was left as an unsolved crime. Pauline, however, has asked Antonia to solve it because she was able to solve murders that others were not. It seems no matter how many private detectives Pauline hired, none were able to get to the truth, and Pauline is tired of the cloud of suspicion constantly hanging over her. While every instinct tells Antonia no, her curiosity wins out, and with Pauline agreeing to rent every room in the hotel during her slowest month, Antonia acquiesces. First off I want to say how much I enjoyed this book. We are given the mystery immediately: the sad death of a young girl who was summering in the Hamptons with her friends. Her life cut short, and at first glance Antonia sees that Pauline wants to find out the truth. Pauline, cold, forbidding and manipulative, is used to getting what she wants, and Antonia is no match against her, so while Antonia isn't a private detective or a police officer, Pauline convinces her she can do what none of them have been able to so far. But there is more to the story (as we know there will be) and it is indeed a mystery worth reading. The tale is spun as well as a tapestry; each thread is is twisted with another just enough to keep us wondering who the murderer could be. The clues are there, but they are well hidden within the narrative; I realized the truth just shortly before Antonia herself, which makes a very good book indeed. All the main characters are given life and breadth and you get a feel for the type of people they are. Antonia has her issues to deal with, but she's a caring and loyal friend, and while her curiosity sometimes takes her places she'd rather not be, her heart always brings her back to what's important in life; and Larry's a riot - for all his faults, he's a good friend. Pauline was indeed humorless and it's hard to find sympathy for her character, but I don't think we were meant to do so. In the end, when the murderer is discovered, you find out the true measure of people and the lengths they will go to to keep the secrets of the dead. It is hard to define what causes people to do the things they do, and you wonder at their reasoning for doing so. But even knowing this, secrets have a way of coming forth even when you try your best to keep them hidden forever. All in all, a wonderful book with plenty of twists and turns, and I hope to see many more from this author. Highly recommended. A relaxing trail ride turns tragic when Paramedic and Deputy Coroner Zoe Chambers discovers the body of a popular county commissioner in her Pennsylvania woods. Inconsistencies surround the horrible accident, but before she can investigate further, she's pried away by a plea for help from her best friend whose son has been deemed a person of interest in a homicide over a thousand miles away. When he vanishes without a trace, his mother begs Zoe to help clear him and bring him safely home. 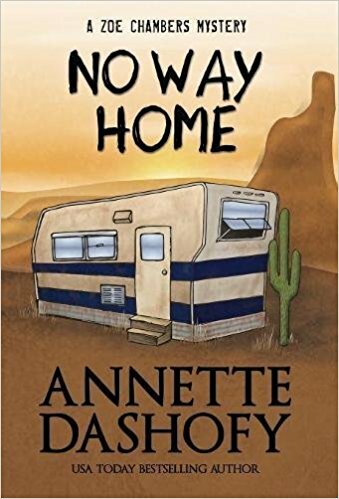 The task takes Zoe out of her comfort zone in a frantic trip to the desolate canyons and bluffs of New Mexico where she joins forces with the missing boy's sister and mysterious young Navajo. Back at home, Vance Township's Chief of Police Pete Adams must deal not only with the commissioner's homicide, but with an influx of meth and a subsequent rash of drug overdoses in his rural community. Bodies keep turning up while suspects keep disappearing. However little else matters when he learns that half a continent away, a brutal killer has Zoe in his sights. Zoe Chambers is a Paramedic and Deputy Coroner in Vance Township, Pennsylvania; and she also runs a boarding stable. So when one of her boarders' horses returns riderless, Zoe sets out to find the man she hopes is merely injured. But instead she finds the body of County Commissioner Dale Springfield, and at first glance it appears his horse was spooked and he fell and hit his head. Yet when Zoe does a preliminary examination, she thinks the body is colder than it should be for a recent accident, and wonders about the time of death. Yet Dale's death might not be an accident after all - the town is divided on a company that wants to do local fracking - and Dale was definitely on the 'no' side. So who will benefit the most if and when the deal goes through, and did anyone hate him enough to want him out of the way permanently? With a host of suspects but no solid clues, Pete has his work cut out for him on this one. There is also another problem going on in their town - young people are overdosing on heroin and meth, but Sheriff Pete Adams isn't sure which one is the culprit, or where the teens are getting their drugs. Even with the help of Detective Wayne Baronick - a sometimes-thorn in Pete's side - every lead they have runs down to a dead end. No Way Home is the fifth book in the Zoe Chambers mystery and in my opinion, so far it's the best of the group (which is a pretty feat, considering the other four were quite good themselves). We start out with several deaths in Pennsylvania that may be linked somehow, and then follow Zoe in New Mexico on her quest not only to find Logan, but get answers as to who murdered his girlfriend. Rose is frantic with worry and convinced that the boy she loves like a son is innocent, it's up to Zoe - with the help of Logan's sister Allison - to find out the truth of the matter. The author switches deftly from the scenarios going on in both states without skipping a beat. You are at first in rural Pennsylvania, with its rolling hills, brisk snowy weather, and close-knit community of people, then are transported seamlessly to New Mexico, with its jagged mountains, bright sunrises, and desert terrain; and people as mysterious as the mountains themselves - a new experience for Zoe. Still, with each mystery going on separately yet at the same time, we are drawn deeply into the multifarious story line, anxiously awaiting the outcome of both. 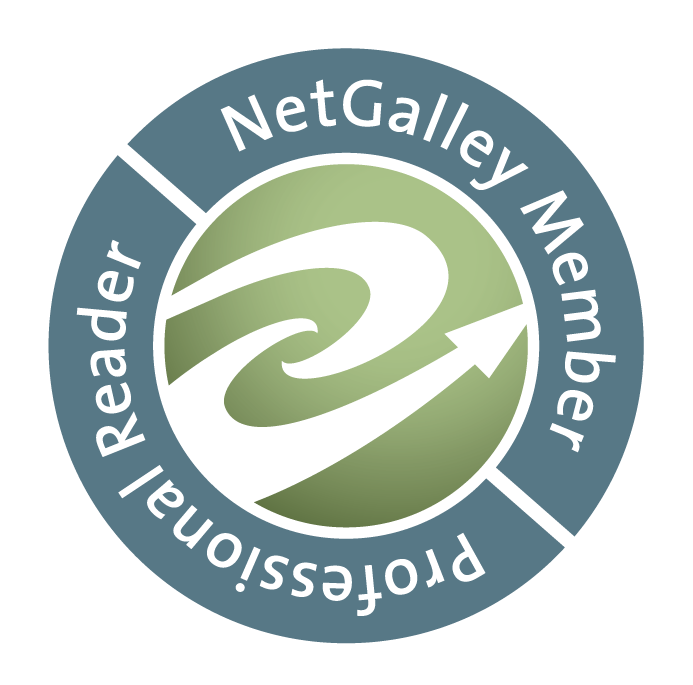 Without giving too much away, let it be known that while there are plenty of twists and turns along the way, Ms. Dashofy spins a tightly-knit tale that delights the mind with vivid descriptions of regions and people, bringing it to life. When at last we reach the end of the story it comes together beautifully; and as we learn the truth it is altogether believable and well-composed; with a gamut of emotions that elicits the same from the readers of the story. Highly recommended and I look forward to the next in the series. Blog posts by JoAnne McMaster is licensed under a Creative Commons Attribution 4.0 International License. Based on work at books read and reviewed. I'm an avid reader who manages to find every bookstore anywhere I go and think the best days are spent between the pages of a book.